I love orange….. 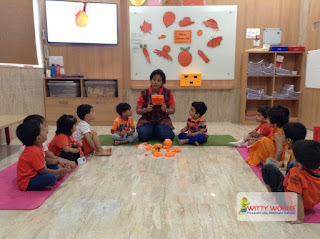 I love all the orange things around me… the orange fruit that tastes so yumm.. The orange crayons I color with and the sun that shines so bright and orange. Makes the world around us bright so sing, sing, sing! The little Wittians of Nursery came dressed in orange coloured clothes, brought their orange coloured toys to play with on 9th August, 2017, Wednesday. 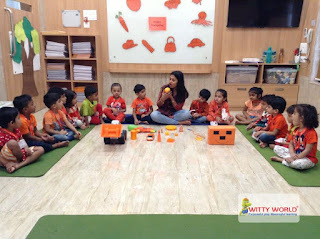 They enjoyed the Orange Day with fun filled activities and had an energizing day just like the colour that they represented.